If there's a mirror in view of your PS4 Camera, your PlayStation VR could get very confused. 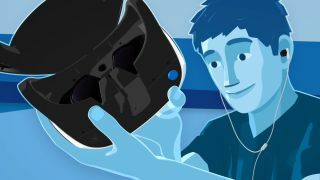 Sony confirmed that larger reflective surfaces could interfere with PSVR's LED tracking in an update to its massive PSVR FAQ, and you've got until Thursday (if you plan on getting a headset at launch) to decide what to do with them. Keep an eye on any other big, shiny surfaces as well, like the glass frame of a painting or un-curtained windows. Sony says you shouldn't need to worry about ambient light messing with PSVR, but do ensure there aren't any actual light sources like lamps or illuminated chargers in the viewing area. Check out Sony's FAQ and official setup videos for more guidance.